The Elite Academy is proud to announce the new home kit for the 2017-2018 season. 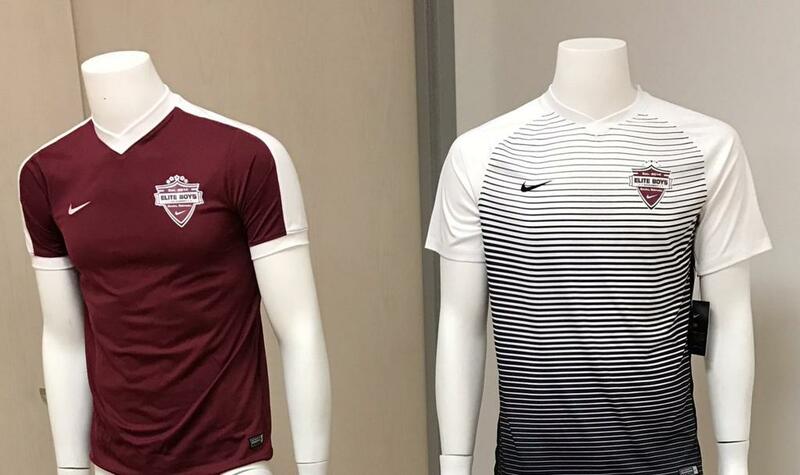 EGA has teamed up with Nike to provide our players with the latest technology in soccer uniforms. Elite Girls Academy is a Nike club. All uniforms, training gear, and warm ups are Nike and are provided by Soccer Internationale, who is our local retailer. Gray tiempo practice shirt 20.33. These are not numbered and some of these teams will have sponsors logo on the back.